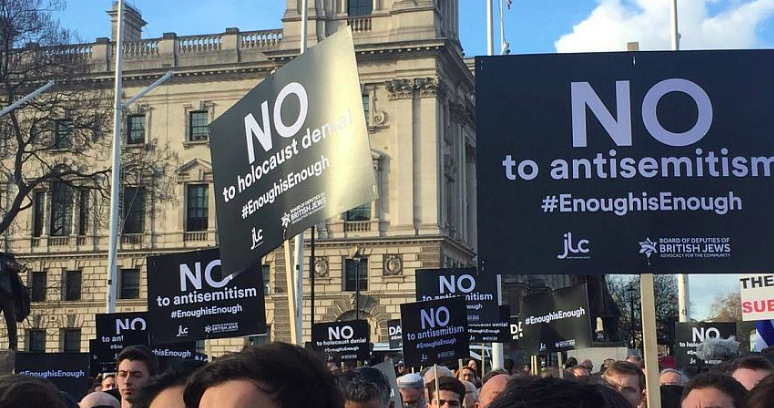 Pictured Above: Thousands gather outside of Parliament in London to protest anti-Semitism in the British Labour Party on Sept. 3, 2018. Credit: Labour Against Anti-Semitism via Twitter. (JNS) After only adopting part of the International Holocaust Remembrance Alliance’s definition of anti-Semitism, the U.K. Labour Party on Tuesday reversed its course and adopted the meaning in its entirety. However, the Jewish community has been anything but fully satisfied due to party leader Jeremy Corbyn’s long anti-Semitic history. “It is appalling that it has taken them until now, two years after the government adopted the definition, to finally accept something as basic as what constitutes antisemitism, albeit under duress,” he said.